Your smile communicates the essence of who you are. Keep it healthy with regular visits to your friendly neighborhood dentist office. 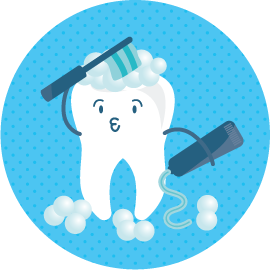 Whether you simply want a gentle cleaning or need to repair a tooth, your smile is welcome at Grandview Family Dental. Digital X-rays—These images are taken with a sensor and then generated visually on the computer. Digital x-rays use over 60% less radiation than conventional x-rays. Check ups—A dental exam is used to diagnose tooth decay, periodontal (gum) disease, abscesses, cracked or broken teeth and the need for any other dental treatment. Regular check-ups are recommended to keep your teeth in good health. Fillings—Fillings are used to fix tooth decay or to repair broken and cracked teeth. Typically, white resin fillings that blend with your natural teeth are used. In cases where resin is not practical, Amalgam (silver) is used in its place. Crowns—Also referred to as a cap, a crown is a type of dental restoration which completely encircles or caps a tooth or dental implant. Crowns are often needed after a root canal treatment or when too much of the tooth structure has been destroyed by decay or a filling. Implant Crowns—Similar to conventional crowns, implant crowns are anchored to a dental implant rather than your natural tooth. Bridges—A bridge is a fixed dental restoration used to replace a missing tooth by permanently joining an artificial tooth to adjacent teeth. Extractions—When it’s too late to save a tooth, this procedure removes it from your mouth. Cracked or Broken Teeth—The most common of all dental injuries, cracked and broken teeth can typically be repaired with a filling. Root Canal Treatments—This procedure is used to treat an infection at the center of the tooth by cleaning and debridement of the nerve. An internal filling is then inserted with an inert rubber substance called gutta percha. Then an external filling is performed to restore the top portion of the tooth. Partial Dentures—A removable denture to replace missing teeth, a partial denture is a cost-effective fix. Intra Oral Camera—This camera is used inside your mouth to take photos for patient education and to aid in dental claims. Specialist Referrals—Most dentistry can be performed on site at Grandview Family Dental. 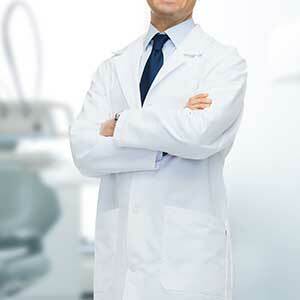 In some specialized cases, the doctors work with their colleagues to ensure all your dental needs are well tended. Nitrous Oxide Sedation—This type of sedation dentistry uses a sedative that is inhaled with oxygen. It works while you have a mask on over your nose. Once the mask is removed, you no longer feel the effects of the Nitrous Oxide. Oral Sedation—This type of sedation dentistry requires that you dissolve a pill under your tongue prior to your appointment. It is very important that you have a ride to and from your appointment. All smiles are welcome here … Call us today at 807.345.1225 to book your dental visit!